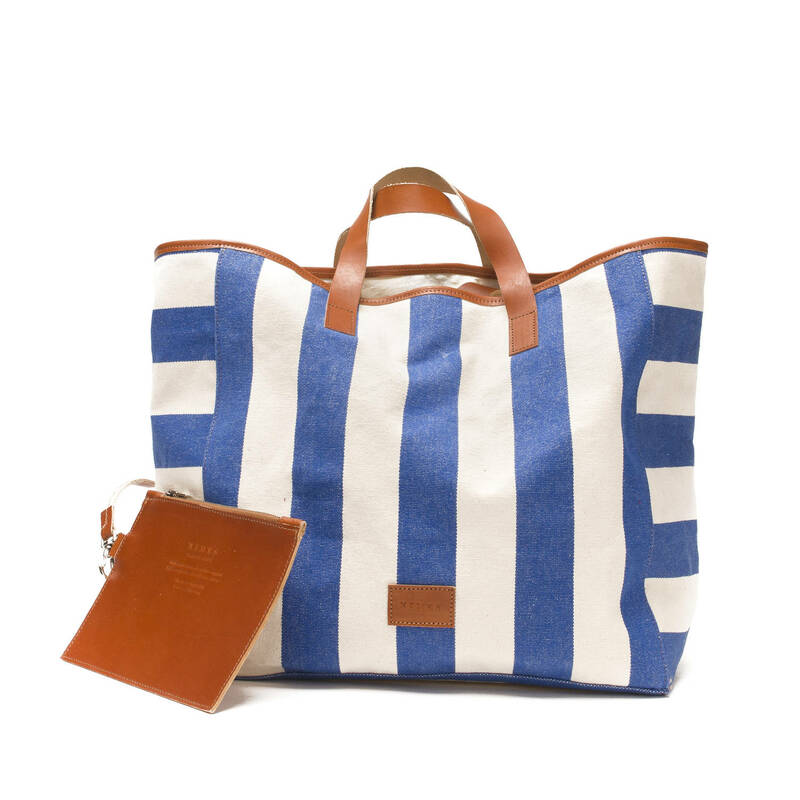 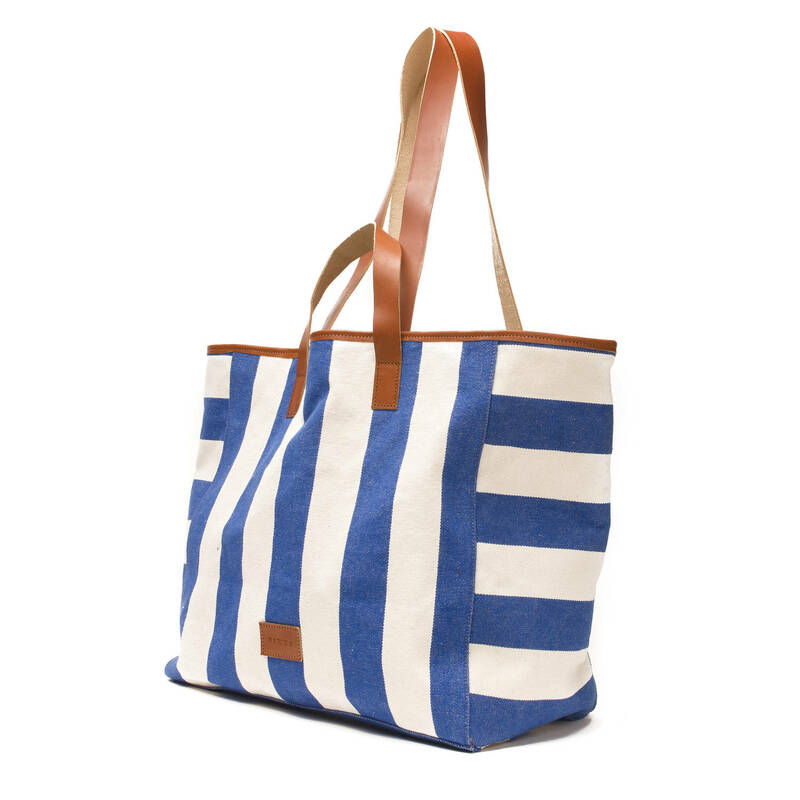 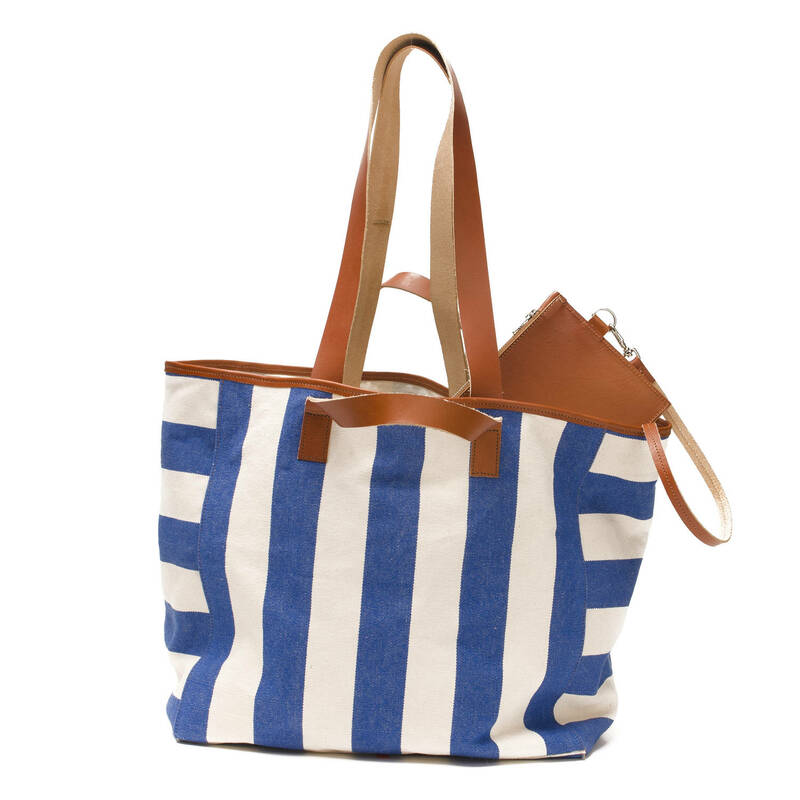 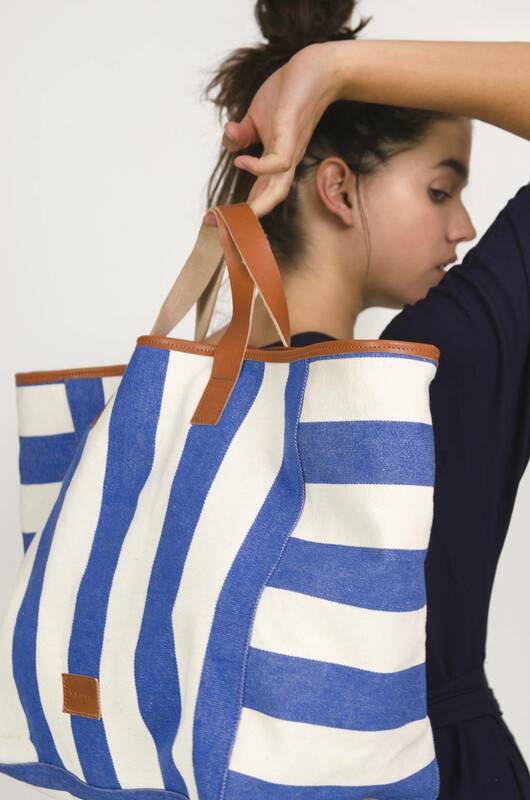 Large beach bag made of white and blue sail cloth with caramel leather handles, in two different sizes. . 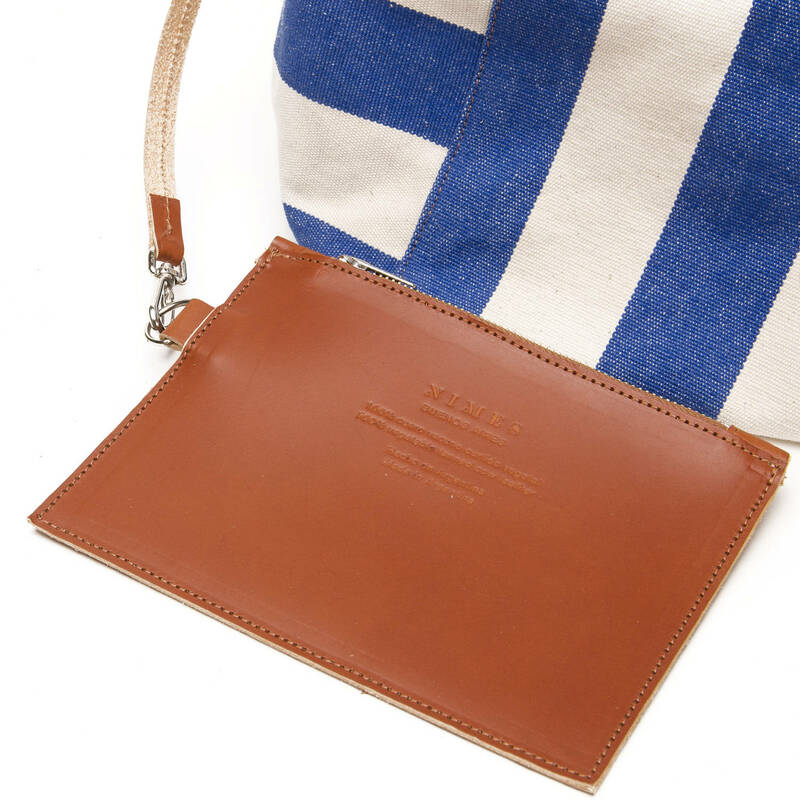 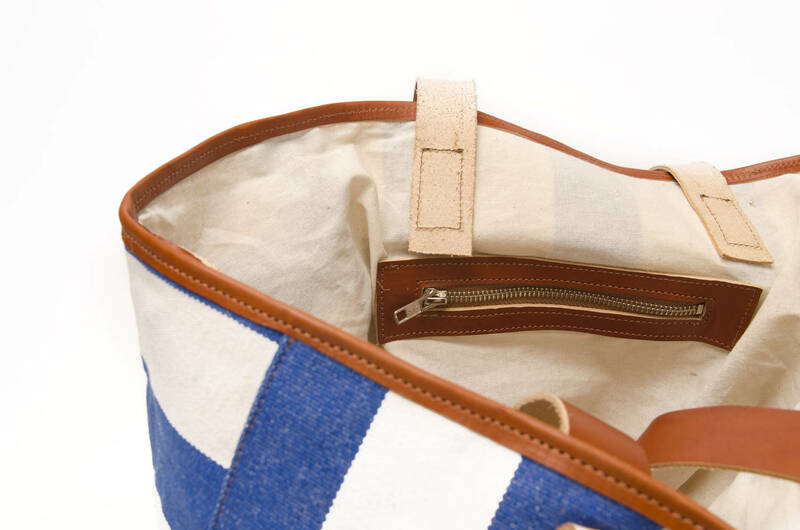 It has an off white cotton canvas linning, with a zippered pocket and has an attached and removable small leather bag.